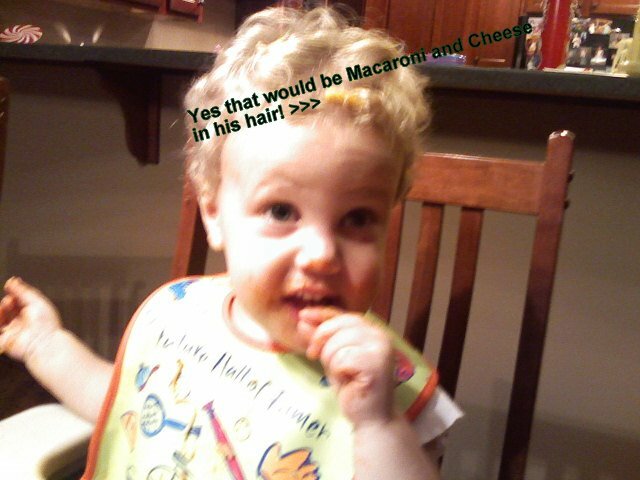 That's great, my little guy often ends up with food in his hair! You gotta love getting the mac & cheese out of the hair, right? No cure but a bath. Oh, and we're just fine, just busy; thanks for asking! :-) We'll keep you posted on our next girls night!